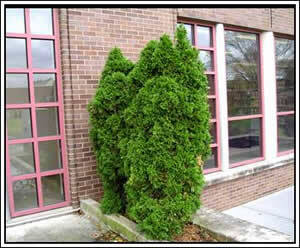 Arborvitae was the first tree from North America to be introduced to Europe when French explorers brought the tree to Paris. The tree became a valuable asset when, on one of Jacques Cartier’s long sea voyages in 1536, it was discovered that a tea made from the bark and leaves cured scurvy. 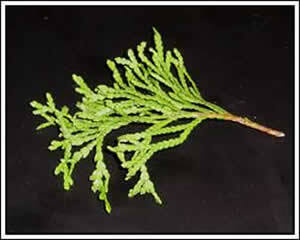 In 1558, the tree appropriately received the name “arborvitae,” meaning “tree of life” in Latin. 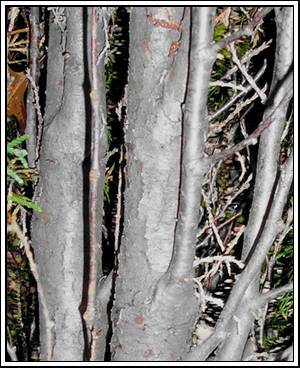 The oil from these trees is still used today for medicinal purposes. While traditionally the soft wood was used for canoe frames and starting fires, today it is used as lumber, especially for poles, posts and cross-ties. 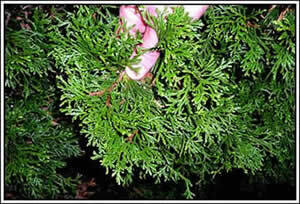 In North America, the Oriental arborvitae is mainly used in landscaping. Many varieties of shape are available, and the tree can even be maintained as a hedge (with persistent trimming). During New Year’s celebrations in China, the aromatic branches are used as good luck charms.